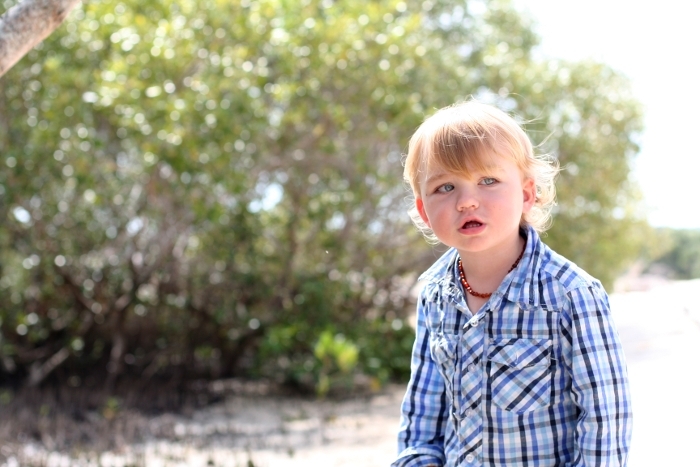 First wander amongst the mangroves. Another week where it was so very hard to choose an image. The curious gaze, the piercing eyes or the heart-melting smelling of a wildflower? (The curious gaze won the day.) This shot was taken on a day out to a part of our island home we don't often get to. A place where the tides are big, and there's plenty to explore at low tide. I love that his understanding about the world is being shaped by where we live. His language is of mangroves and soldier crabs, sand dunes and pandanus, the sunset and the moonrise. He knows the night-time song of the curlews. What the gnarls of the banksia trunk feel like when he hugs it good morning. And he can smell a campfire at the drop of a bushman's hat. Happy Easter! We'll be having a quiet one, as K works and E and I recover from a fairly sleepless teething night. Made good with spelt sourdough buns with green ginger wine soaked fruit! What a beautiful shot and handsome boy you have, such a sweet moment captured! Love the wonder in his eyes! What a handsome little man you have there! I love that I've found your blog! 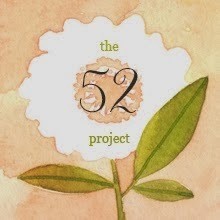 I am joining in with Jodi's 52 project as well.